Paint mixing is an art form. Simply mixing colors like blue and yellow will not translate into the exact green you may be looking for. Each shade of green has to be carefully formulated and controlled. 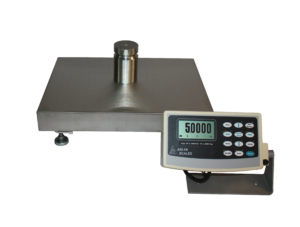 Different industrial weighing applications call for different industrial scale solutions. Arlyn Scales provides these solutions in a wide range of capacities, platform sizes, and resolutions. The common theme across the entire line is industrial-grade rugged construction, ease of use, and factory direct value. For Paint Mixing Scales with the highest accuracy levels available anywhere, our Ultra Precision line of scales, which utilize SAW technology, give more than ten times regular accuracy. The cost remains extremely competitive while the ability to absorb difficult industrial usage is not compromised. Arlyn Scales provides industry paint designers with high quality scales able to obtain precise measurements. These scales are versatile enough to be used in any paint-mixing niche. The company offers an array of standard mixing scales, which simply weigh each paint ingredient as it is poured into the mixing cup and onto the scale. This is how it works,Technicians look up how much of each material is needed from the paint formula and carefully pour out that amount while watching the scale. The scale will prompt users to either add the next ingredient or ask if users would like to recalculate the mix in the event of an accidental over pour. This feature allows the users to quickly produce the correct combination of pigments with other ingredients for the specific color paint. Technicians must be able to properly mix reducers or thinners, and other additives into the paint, or serious paint problems will result. Their accurate measurement is crucial when providing highly concentrated colorants and pigments to base paint. Digital scales, an Arlyn specialty, have replaced most manual scales and allow automated paint mixing. This is how it works, Paint suppliers and technicians weigh the various ingredients when mixing paint materials use Arlyn’s mixing scales, which precisely weigh out each ingredient. Using paint manufacturer formulations, Arlyn’s mixing scales are used to add different pigments, reducers, or other materials to make the paint the desired color and viscosity. Arlyn can customize any scale to fit your needs. For custom solutions, it will state how much pigment, reducer, or hardener needs to be used by weight. When mixing paint and solvents or other additives, it will prompt to measure and mix their contents accurately. Necessary for good paint and bodywork. While Arlyn has many choices to choose from when it comes to achieving desired hues, their scale of preference when it comes to proper paint mixing is their solid state Surface Acoustic Wave or SAW scale. This technology, known as SAW scales includes ultra precision scales and large ultra precision scales. The SAW scales measure displacement, rather than stress or strain, which greatly reduces the range of error. With accuracy at 0.005%, this scale offers a sensitivity of up to 20 times that of regular scales. The die cast aluminum frame and weighing pan are rugged and durable, which is ideal for the paint-mixing environment. When working with high accuracy formulation, batching, and mixing in industries such as transportation, geotechnical and environmental these scales will exceed your expectations. Surface Acoustic Wave Sensor: Their overload specification of 200 percent of the full capacity of the scale means it is one of the durable scales available. Climate-resistant: The climate the scale is operating in the digital device will always offer accurate readings since exact ratios must be carefully formulated in order to successfully match paint colors. For folks who rely on these specialized digital scales to carefully mix and match colors in order to remain consistent from batch to batch, they will benefit most from Arlyn Scales solutions. With high-tech innovation and durable design, Arlyn Scales offers the very best in industrial scales. Regardless of the scale solution you choose, each of Arlyn’s digital and electronic scales provide their operators with user-friendly features so that anyone can operate an Arlyn scale. If you’d like to find out more about the SAW scale or Paint Mixing Scales in general, then don’t hesitate to get in touch with us at Arlyn Scales. Our team of seasoned experts are always on hand to address whatever scale needs you might have. Contact us on the web to learn more about how this kind of technology can transform your business.